IKEA has revealed a new IKEA PLACE augmented reality app for iOS, that lets you see how a new piece of furniture would look inside your home. Thanks to the magic of AR, you’ll be able to position true to scale 3D models of IKEA furniture anywhere. The idea is to make it easier to decide if that chair, or table you had your eye on, would suit your living room or bedroom. After scanning your room using your phone’s camera, you simply browse and select the piece of furniture you wish to preview, and then place it where you had in mind. There’s no release date yet, but it shows what will soon be possible using smartphone AR technology in future. Ever wish you had your own personal translator? Thanks to Google Assistant, you soon will. Google has been showing off how future updates will make it possible for the app to translate what you say into any foreign language. For example, in the video below - taken at the Google Developer Days conference - a Google spokesperson says: “OK, Google, be my Vietnamese translator,” and the app translates long sentences into Vietnamese. Just as impressive is the clip below. It shows how Google Assistant can learn to understand normal everyday language, and answer complex questions. Following the viral success of the Snapchat hot dog, Snapchat is at it again with more augmented reality goodness. This time the company has added 3D Bitmoji to its AR features. A Bitmoji is a cartoon avatar of yourself, that you’ll now be able to project into the real world by pointing the rear-facing camera of your phone at any scene. You can have it skateboarding, dancing, and performing a host of other actions against any real-world backdrop. AR is expected to be the big technology breakthrough this year, so expect to see more things like this in future. Following the natural disaster that was Hurricane Irma, Facebook has announced a new feature called Crisis Response. It’s a new hub on Facebook where you can discover information about any crisis situations, and natural disasters happening around you. Among the features will be a Safety Check feature, so you can let friends and family know you’re safe, links to articles and videos to help you learn more while avoiding fake news, and ways to ask for help if you ever need it. The feature has already started rolling out, and should appear in the Explore section of your Facebook app. 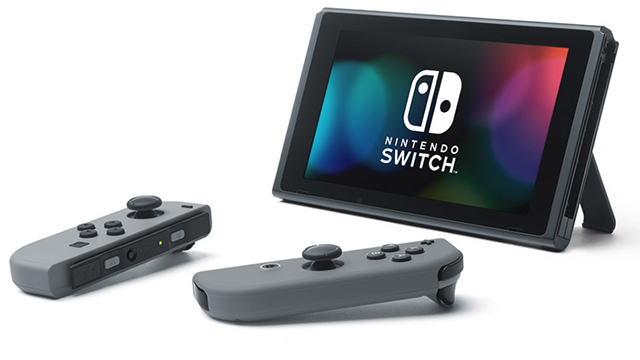 Nintendo has finally updated its Nintendo Switch Online app for iOS and Android, to make voice chat less of a pain on the Nintendo Switch console. With the update, you’ll now be able to continue chatting even if you open another app on your phone, or if your phone’s screen goes to sleep. Voice chat would previously end if you did either action. Unlike the PlayStation and Xbox consoles, the Switch requires you to use a smartphone app for voice chat – so the update is an essential one if you enjoy chatting during play.